Curtains for Australia is an One-stop shopping website. 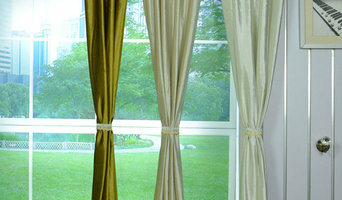 We offer ready made curtains, custom curtains, valance, and all the hardware. Promotions every day. Design Shutters are Perth’s premier plantation Shutter Company, supplying quality internal and external window shutters manufactured from composite, basswood, ABS and aluminium for your home or commercial premises at affordable prices. Our team at Design Shutters are dedicated to providing our customers with quality products and offer the highest standard of service from your initial consultation, through to installation and beyond. Our care and commitment to you, along with our products we guarantee! Perth Plantation Shutters is 100% WA owned and operated and we are very proud to delivery the best quality Australian made shutters and Imported shutters which will add value and prestige to your home. We are the only shutter company in WA to offer you an exclusive lifetime guarantee* on our “Ultimate internal” ranges of shutters. 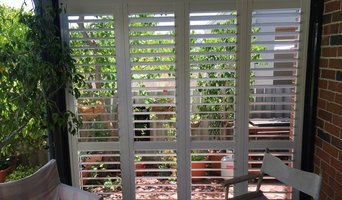 Also to compliment our Australian range, we also offer an Imported range of shutters. “At Perth Plantation Shutters we will never take you for granted. We ensure that you will receive only the best Australian Made Shutters, workmanship and service on the market today.” Our team of experts are also able to assist architects, developers and designers with the right look and feel to add value to your home. Contact us on 9271 8644 or fill in your details on our Contact page and we will contact you as soon as possible to arrange for one of our shutter experts to visit you for your free consultation. HANBO BLINDS PERTH: TOP QUALITY PRODUCT FOR THE BEST PRICE AS Perth’s Superior Quality Zebra, Roller & DIY blinds in Perth The Blinds Gallery. As A BLINDS COMPANY IN PERTH, HANBO BLINDS ARE IDEAL FOR A WIDE VARIETY OF ZEBRA BLINDS, ROLLER AND DIY BLINDS & MORE. OUR BLINDS ARE EASILY FIT ANY WINDOW AND THE WAY DESIRE. Hanbo blinds have the latest styles in window treatments that are made from high quality Korean materials. Our Zebra blinds are specially treated to endure the harsh Australian sun and customised to fit any window. Just pay for what you need and save . If you need installation assistance just contact us and we can organize our professional team to finish the job. Browse our Zebra Blinds, Roller and DIY blinds, or visit our nearest showroom if you need some guidance from the experts. Our products vary in colours, fabrics and styles, so you can find the perfect match for your home. Soltex is a leading supplier, distributor and installer of external blinds, retractable awnings, sun roofs and all weather systems made in Perth to suit all commercial and residential designs. We offer free consultations and bookings. Our showroom is located in Osborne Park, by appointment. WHY CHOOSE ABBEY BLINDS & CURTAINS? We are a family owned, mobile service with over 25 years of experience behind us. This experience is evident in the quality of our fabrics and components, the thoroughness of our service and the competitiveness of our pricing. We personally standby every single window treatment we deliver, demonstrated by a 2 year warranty. ACCESS THE BEST, FOR LESS. Experience has shown us which suppliers deliver the best quality products for the lowest prices. Over time, we’ve developed a trusted and proven network of suppliers with an unsurpassed reputation for premium products that stand the test of time. Being able to deliver such quality at an affordable price means we don’t need to engage in sales gimmicks and limited time offers – what you receive is simply the best possible price at all times. DETAILED TECHNICAL KNOWLEDGE & HONEST ADVICE From heritage and contemporary homes to functional work spaces, we are perfectly at home in every environment and can recommend the ideal indoor or outdoor window treatment. When you request a free measure and quote from us, you are visited by the owner of the business who will share their in-depth knowledge of window treatments as well as the installation process. We’ll also discuss your own ideas and dreams to make sure the finished product perfectly suits your unique tastes, budget and special requirements. THE SAFETY OF CURTAINS AND BLINDS IS OUR PRIORITY. Cords connected to curtains and blinds can pose a serious risk to young children (including babies) either living in or visiting your home. Be sure to check that the products installed in your home have safe design features and carry warnings about possible strangulation hazards. Should you be keeping existing window treatments in your home, keep the cords out of reach of children. For more information regarding the safety of curtains and blinds, contact us or speak to the ACCC. 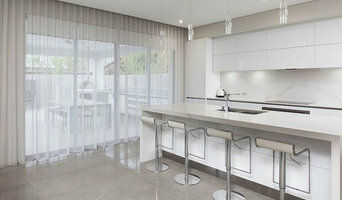 Designer Blinds, Perth’s premiere purveyor of superior quality window furnishings. All of our made to measure products are custom made for your space right here in Western Australia using the best quality fabrics and components available on the market. Our high quality hardware is second to none, meaning we provide all of our clients with a fantastic product that you can expect a lifetime of style and hassle free operation from. Our experienced staff are on hand to provide you with advice on the best solution for your window furnishing requirements. We can assist with interior design advice and fabric selection as well as recommend the best products to suit your home. Call today for your free in home measure and quote. CUSTOM MADE BLINDS & CURTAINS Established in 2003, Owned and operated by three working directors with over 50 years’ experience collectively. You can trust we are the specialists in quality custom-made window treatments. 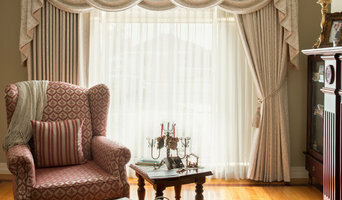 Beachside have been the forefront of supply and installation of custom made Curtains and Blinds. 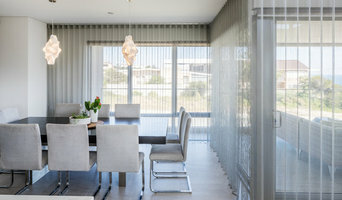 Since inception Beachside have delivered quality made window treatments to the domestic and commercial market with a heavy influence in display homes. We have completed more than a hundred display homes for many of Perth’s biggest builders. We are a one stop shop for all your Internal & External window covering needs. Supplying Quality Luxaflex, TWO Australia and well known Drapery products. We are able to look at solutions for those tricky windows other suppliers just can't do. Window Studio s a high-quality, boutique window treatment supplier that provides bespoke window furnishings from medium to high-end residential and luxury hospitality projects. Located in Subiaco, Window Studio works closely with some of Perth's leading Designers, Architects and Builders to provide design solutions and advice. Window Studio also works one-on-one with the individual home owner, who is looking for that personal service and expertise. We also work within the client's budget requirements. No job is too big or too small, Window Studio ensures that the client's budgetary requirements are always considered, whilst maintaining the highest quality design, workmanship and service is guaranteed. Riverview Shutters design, create and install custom shutters and blinds for your home or commercial property. Choose from the elegance of plantation shutters, the security of roller shutters or enclose an alfresco area with ziptrack blinds. Free measure and quote available. Kresta is Australia’s first name in quality window coverings; the only name you need to know for blinds, curtains, shutters and awnings. We are the largest retailer of window coverings and no one has covered more windows in Australia than we do. With over 40 years of experience, we are ready to create a designer fashion statement for your home. All Kresta products are custom made to suit your needs and style to ensure we always bring your windows to life. From start to finish, there’s no better blinds experience than with ABC Blinds and Awnings. Get inspiration on how to transform your home, freshen up a room or enhance your outdoor area with our expanding range of window coverings. Custom Designed Shutters, Screen & Gates in Perth, Western Australia Boardwalk Shutters Perth is a wholly owned Australian business, and being a direct importer and local manufacturer means there is no middleman in the process. This gives us ultimate control and enables us to continue to offer our customers a premium product, with no sacrifice in quality and, at the same time remain very price competitive in the market. Put simply, our aim is to offer the best quality products at the lowest possible price. Obligation Free Consultations We offer obligation free in home consultations for whatever product you might be looking for including:- Plantation Style Shutters Interior Shutters Timber Shutters Bi fold Shutters Sliding Shutters Special Shaped Shutters Hinged Shutters Aluminium Shutters Outdoor Shutters Aluminium Screens Aluminium Slat Fencing Aluminium Gates Automatic Gates Motorised Awnings Blinds Roller Blinds We provide a complete measure and quote service throughout Perth. Call 1300 112 333 to make a booking. Some regional areas are also serviced. What Does a curtains, blinds and shutter Professional Do? Window treatment professionals, designers, vendors and manufacturers often specialise in different types of window coverings. Some handle shutters and/or blinds, while others work primarily with fabric treatments such as swags and valances. Still others focus on high-tech automated shades or louvers. But regardless, your Perth, Western Australia pro can advise you on the pros and cons of the material and style that interest you, as well as help you determine whether prefabricated window coverings are the best choice for your space, or whether custom versions would be ideal. A professional will measure your windows to ensure a good fit, then create or obtain the window coverings. Skilled in installation, the pro will mount the shades, blinds or curtains and make small adjustments for a polished look. Because child safety is an important consideration when it comes to windows, a good pro will remedy any potential hazards, such as dangling cords. If you are looking for a more tailored result - designer curtains, custom shutters or other bespoke curtain styles - A window treatment professional might work closely with a Perth, Western Australia interior designer or house decorator to widen your options. Here are some related professionals and vendors to complement the work of shutters, blinds & curtains: Windows, Interior Designers & Decorators. Find a window covering professional on Houzz. Narrow your search in the Professionals section of the website to Perth, Western Australia window coverings. You can also look through photos to find examples of Western Australia window treatments that you like, then contact the professional who worked on them.